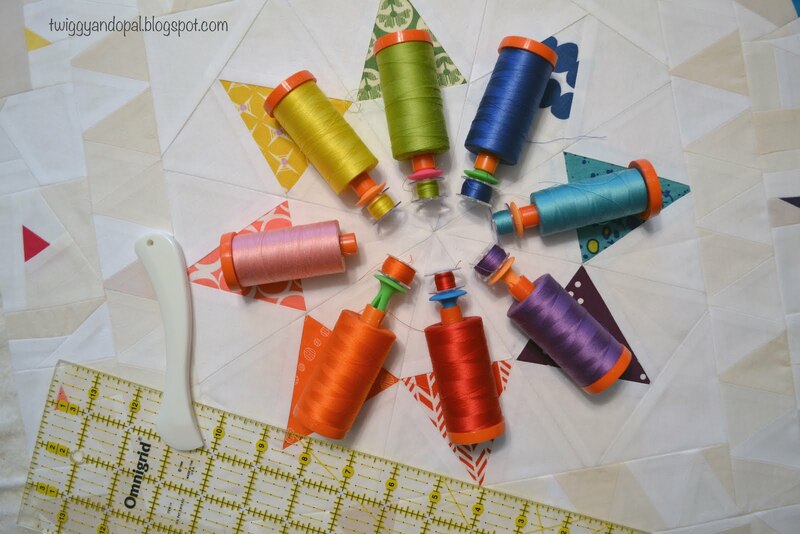 ... this will change still a lot with your amazing, colourful quilting! Can't wait to see the finished art! ♥ Can't wait to see it quilted. Well done. Hopefully I’ll finish it in a couple days. I have a bedroom to paint before I get that pleasure! Playing is always fun and boy does it look like you are having lots of fun. Love the quilting, can't wait to see the finish. It's a cool block Jayne ! And you're doing a great job with the quilting. I’ve got a ways to go on the quilting, but it’s coming together pretty much as I had hoped! Absolutely love it! So glad you gave in to the scraps and added the other border. These mini quilts are a great way to practice FMQ! I tried to channel you, Yvonne and Renee for that…successful or not, I did try! 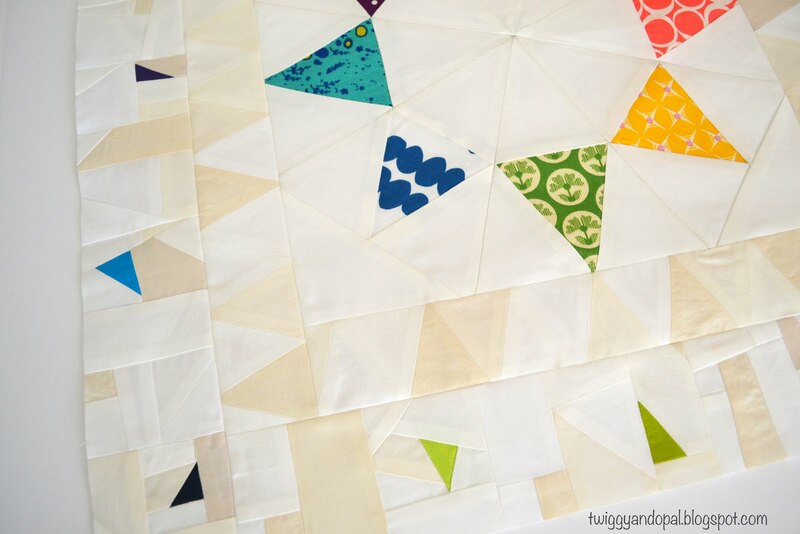 I would seriously NEVER get crazy with FMQ on a big quilt. I know my limits! 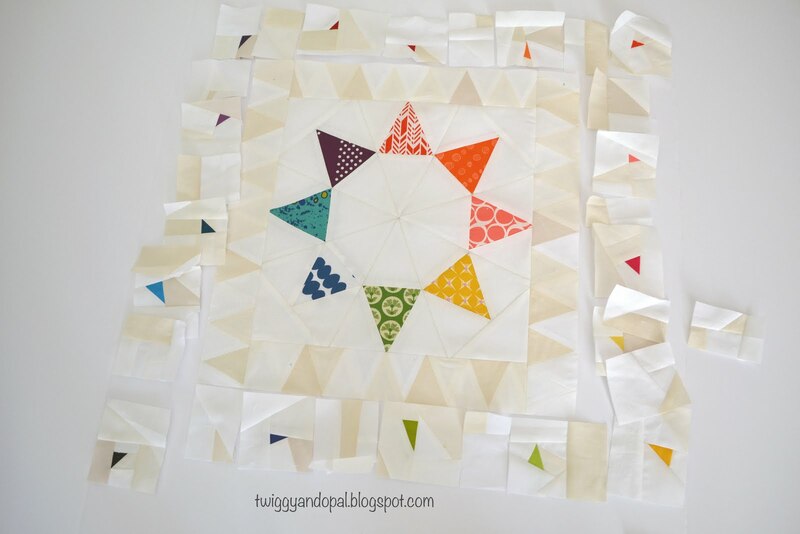 The play that you let yourself have with scraps is inspiring and beautiful, Jayne! I am excited to see how this finishes for you. And I hope the remodeling wraps up and you are happy with the results when it is done. 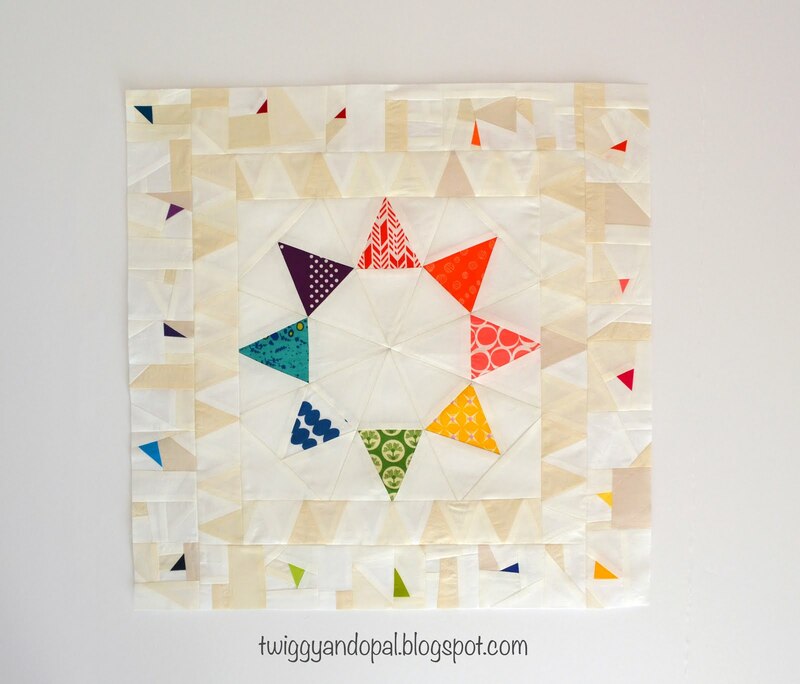 You are not the only one to have lost your quilting mojo but you have pulled something wonderful out of the bag. 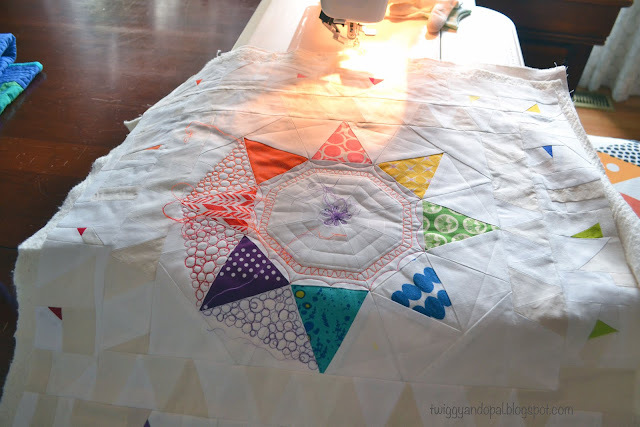 Your instincts always keep you true, however, THEN you start quilting it, my reaction to seeing the quilting pic was WOW! You are surely the queen of improv, I love your work. You are so kind and have made my day! I’m not much of a FMQ expert, but I figure whatever happens it’ll wash up nicely and hide the imperfections. 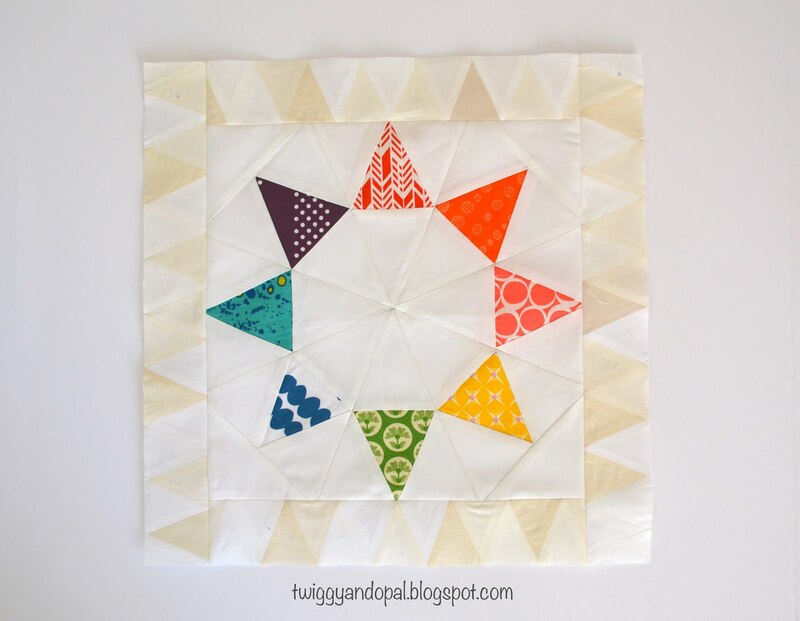 It has made me even more in awe of those who FMQ all the time and have amazing results. I’m pushing myself to the limits with my results! Wow! You weren't kidding when you said AMBITIOUS! Whew! But it will be spectacular when you're done. I love those little rainbow bits hanging out there randomly. I know good and well you had to do some fiddling and working to make them look random yet still float where you want 'em! I really like the way you have incorporated the colours into the border. I was enjoying how that looked but then was blown away by the amazing quilting you are doing. Great looking block! I really like the borders with the bits of color. I hear you on the remodeling, we are getting new carpet and somehow that has created another 6 projects to work on. Oh, my goodness! Its wonderful! I especially like the different neutrals! And your quilting sure gives it pizzazz! It takes a lot of practice to FMQ! Keep up the good work! The fun thing about coloured threads is playing with the quilting design! I look forward to see this finished! Love your block! 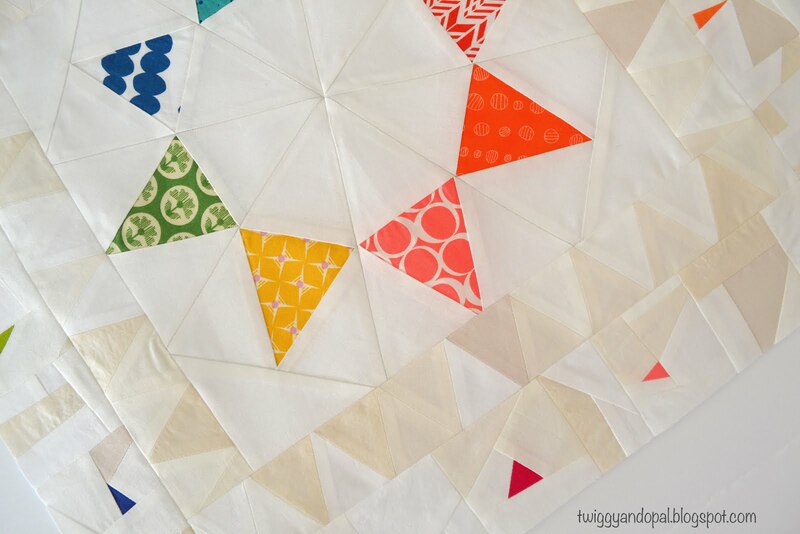 The neutral triangles are amazing, and including those little colorful bits is really inspired. Adorable! And I hear you on the flooring nightmare. Subfloor issues? Misalignments? Trim issues? Been there! It will all be worth it in the end. Love this so much! I liked it when I saw the first picture with the one triangle border because I thought the variety of neutrals was so cool. But then with the confetti of triangle bits -- Oh my gosh Jayne. It adds so much. You always know how to take it to the next level - subtle but really effective. I live in an older home and know your pain! No improvement is ever quick or cheap - no matter how simple. Love the star! And the confetti border is the perfect addition. Thanks for sharing with Oh Scrap! Start of something very beautiful! Love the confetti border. Can't wait to see how you quilt it! Good luck the the remodelling! It's a bother now, but I am sure you will love it once it's all finished. A very fun star. The improv border turned out great. Looking forward to checking out how the quilting turned out. Holy cow, that's beautiful! Following your creative instincts pays off.